This year everyone gets a chance to vote for their favourite project in the NFRC Awards, the annual awards run by the National Federation of Roofing Contractors. NHS Dumfries and Galloway Royal Infirmary is shortlisted in both Fully Supported Roofing and Large Scale Project. Both are projects by the specialist roofing contractor and long term collaborator with SIG Zinc and Copper, Longworth Building Services Ltd. This year for the first time the NFRC have invited everyone to vote for their favourite project to receive an Industry Choice Award. 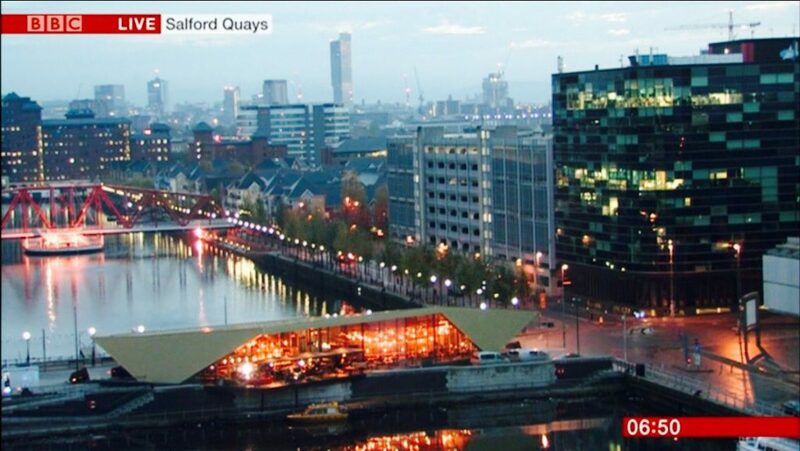 The Bund is in Salford’s Media City right next to the BBC and the Lowry, and frequently features in BBC broadcasts and tweets by people visiting the area. It has become a hugely popular building in the few short months since completion, and is swiftly becoming an icon of the Alchemist Brand and the Salford dockside. Given the huge reception for the building, its innovative design, the first use in the UK of the beautiful elZinc Rainbow Gold Zinc roofing and cladding and the meticulous execution of the handmade details, we think the Bund is a worthy winner of Industry Choice. check the button next to it and cast your vote by leaving your email address as validation and hit ‘Cast Your Vote’. Make sure you vote now – voting closes on Friday 6th April. And why not encourage your colleagues to vote too? We hope you’ll join us in wishing both projects the best of luck – all the awards will be presented at a Gala Dinner on 11th May.